Use appropriate tools strategically. 2.MP.5. Tell and write time from analog and digital clocks to the nearest five minutes, using a.m. and p.m. 2.MD.C.7. Tell and write time to the nearest minute and measure time intervals in minutes. 3.MD.A.1. Students in second grade learned to tell time to the nearest five minutes. In some second grades and in third grade, they extend telling time and measure elapsed time both in and out of context using clocks and number lines. With a book and follow-up activities, the students will have more experience with the concept of elapsed time. Write a time on each index card. You may use times on the hour, half hour or quarter hour depending on the abilities of your students. Gather the students around you as you begin the book Chimp Math. This is the story of a newborn chimpanzee whose mother abandons him. The zoo caregivers need to take care of him. They document what is done to help him grow and thrive. Begin on page nine of the book and learn about how the caregivers feed Jiggs, the chimp. On page 10, there is a timeline of his feeding schedule. Ask individual students to come up and show the beginning time on the clock. Ask them to advance the clock to the next time while the class counts how many hours have elapsed. Elapsed means how much time has passed between feedings. Jiggs begins to grow and learn new things. His schedule changes so on page 18 we see a schedule for his day. Ask students to use their individual clocks to figure out the elapsed times for each of the activities on the chart. For example, Jiggs drank milk at 9:00am and then again at 11:30am. How much time between feedings? Then invite a student up to the classroom clock to show the elapsed time. Throughout the book, the students will see ways that elapsed time is represented: timelines, clocks, bar graphs, calendars and charts. Use the provided worksheet as a classroom activity. Spread the file cards on the floor face down. Instruct each student to choose two cards from the pile. Put 9:00am on the first clock on the worksheet. Look at your two index cards and decide which time comes next. Put that on the second clock. Put the time of the second index card on the third clock. Add a pretend “event" above each clock. 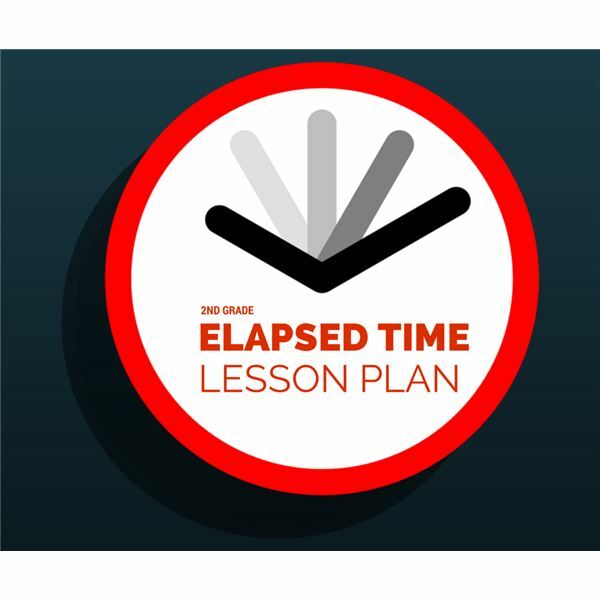 Determine the elapsed time for each. Use the same worksheet as homework for Friday. Have students write down three activities that occurred over the weekend. Determine elapsed time between them. Difficulty level can be adjusted. Choose the “guess option" for students to participate. Nagda, Ann Whitehead and Bickel, Cindy. Chimp Math. Henry Holt and Company, 2002.